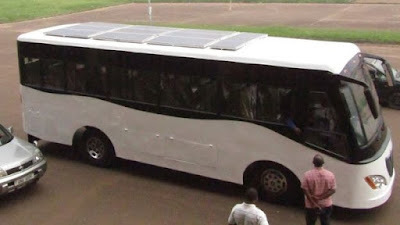 Kiira Motors' Kayoola prototype electric bus was shown off at a stadium in Uganda's capital, Kampala. One of its two batteries can be charged by solar panels on the roof which increases the vehicle's 80km (50 mile) range. But backing from international companies, which make vehicle parts, is essential for the project to take off. The vision is that by 2039 the company will be able to manufacture all the parts and assemble the vehicle in Uganda. The 35-seat bus is intended for urban areas rather than inter-city use because of the restrictions on how far it can travel. 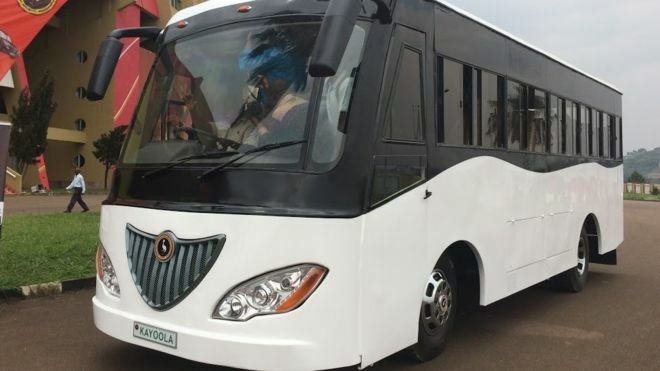 If it is mass produced, each bus would cost up to $58,000 (£40,000), which Mr Musasizi says is a competitive price.